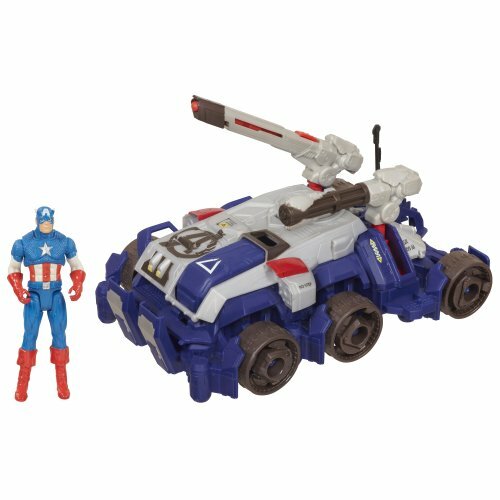 Captain America has had some trouble adjusting to the modern era, but there's one thing he loves relating to the 21st century – the state-of-the-art combat vehicles!) Ambush the enemy with two diverse modes – rush into battle in Speed Attack Mode, then switch to Heavy Assault Mode, drop your missile into place and fire away! (Other figures each sold separately. Does he need backup? Flip open the cockpit and sit your figure inside. 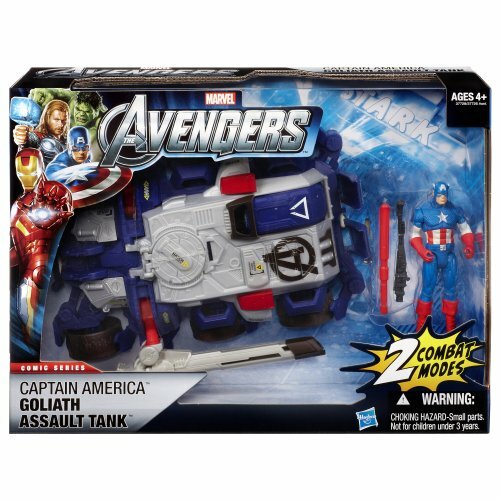 The tank can carry up to three figures! 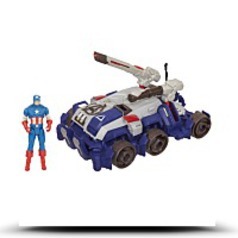 Defend and destroy with your Captain America Goliath Assault Tank automobile! With Cap at the wheel, this car can demolish any opposition! The Goliath Assault Tank combines speed, firepower, and indestructible armor into a single unstoppable assault package.